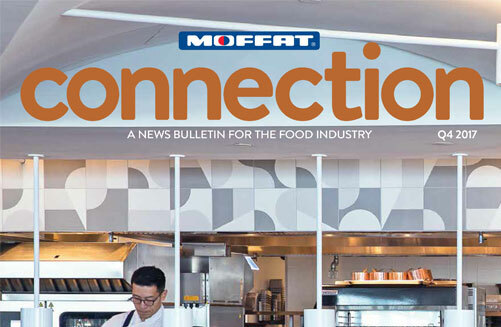 In this Q4 edition of our Moffat Connection Publication, where we share the latest news from the food industry around the world. In this edition, we share stories of our growing partnership within Asia at various participating exhibitions. At Moffat, we like to think of our equipment as a memento of our relationship with our customers, and often installation of our equipment can pose some exciting challenges which are likely to be different in each kitchen. Our industry continues to learn and innovate with new methods of doing business, which is why we introduced Moffat Connection, to share success stories from our customers so that you can stay in touch, keep up to date and learn from the leading influences within our industries. View Moffat Connection below via our online page turner or simply click here and download a PDF version to print your own copy.